Why in the city mow the grass? Every year in the cities on the lawns and courtyards of the utility workers and janitors mow the grass. Along roads and in urban areas, in the parks and squares of this work is done by employees of the service of green spaces of cities. Some people wonder why the city needs to mow the grass. Answers there can be several: mow the grass on the orders and rules, for the prevention of tick-borne encephalitis and other diseases carried by ticks; because it pays well and, finally, because it's more beautiful. If we consider the legal reason for shortening the grass in the summer, you need to remember that there is such a document as "Rules of creation, protection and maintenance of green areas in the cities of the Russian Federation", approved by order of Gosstroy of the Russian Federation №153. According to this document, employees of public utilities shall carry out care of green plantings in the city: sow, sow, water, fertilize, mow, repair sod damaged areas, to pierce the ground for aeration to plant shrubs and flowers. 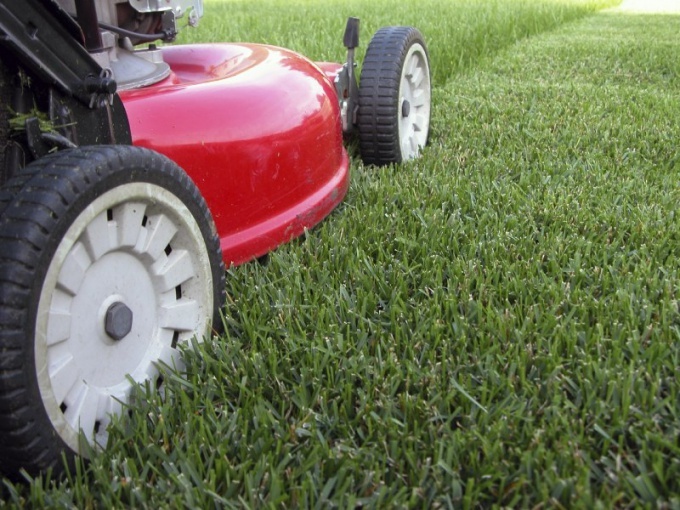 Lawns should be mowed when the grass higher than 10 cm, and need to leave 3 to 5 see the housing Workers are required to mow the grass every 15 -20 days. At the same time, the territory parks and meadows under these rules is not covered. In fact, virtually no work on care of green plantings, in addition to mowing the grass are not made, either due to lack of funds or for the reason that the meadows of expensive in comparison with other works. The second important reason is that in many regions of Russia are common ticks – carriers of encephalitis, Lyme disease and other dangerous diseases. Female ticks are very active in spring and summer. Bites ticks in yards, on playgrounds often enough. Man seriously injured from the bite of a tick in the domestic territory, may apply to the court for the housing of workers and win the case, if the grass was not mowed on time. Ticks not only bite humans but also Pets that can bring them into the house with nekoshenom lawn. The third reason to mow the grass aesthetic. The gently sloping area with dense grass looks much more attractive and better than overgrown with weeds. The city with manicured lawns, roadside green areas with flowers and trimmed shrubs shall be presented to the guests more comfortable and welcoming. Russian lawns now, of course, far from English, but in England when it was all different. A hundred years in Russia may appear same a neat and clean grassy areas.